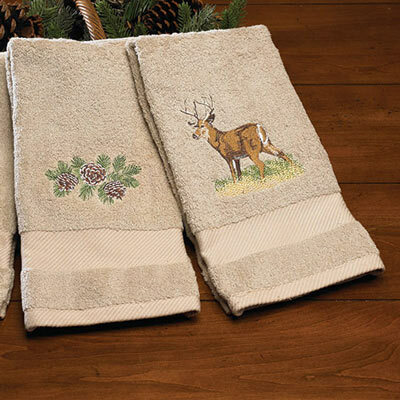 Nature-inspired designs are embroidered on supremely soft, beige cotton/polyester terry. Machine wash. Imported. Specify: Deer, Pinecone or Bear.